Jockey Joe Bowditch and trainer Lloyd Kennewell have broken through for a win after moving from SA. 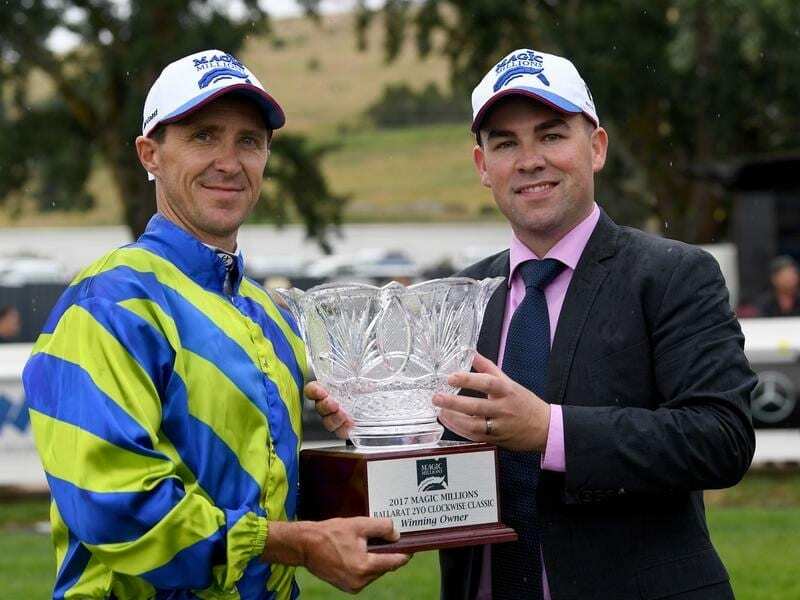 The South Australian duo of Lloyd Kennewell and Joe Bowditch have teamed together for their first winner since moving to Victoria. Kennewell opened a stable at Caulfield last month with his stable rider Bowditch also making the switch. Former Queenslander Arriba broke the ice for the pair at Geelong on Friday leading throughout in maiden grade. Kennewell later completed a double when Imcomparable, ridden by apprentice Michael Poy, took out a benchmark 64 race. Both Kennewell and Bowditch, no strangers to success in Melbourne when making raids from Adelaide, were over the moon to finally get the monkey off the back with Bowditch giving a fist pump crossing the line. “We can take a fair bit of satisfaction out of that being the first winner for Joey and me and hopefully we can keep spring-boarding off that,” Kennewell said. “I’ve got a really good team here in Melbourne and everyone has been great at the MRC (Melbourne Racing Club) and all the other trainers have been great at Caulfield.